The Beard Vape Co. range in Shortfill bottles. Beard Vape Co is not like other eliquid companies. In a marketplace of thousands of e liquid brands, the unique flavours and iconic logo of Beard Vape stand out from the crowd. Starting life in 2014 in the back room of Nana's Vape Shop in Venice, California, USA, two brothers (Brady Bates and Casey Bates) and their friend (Colbey Pfund) had a dream to create a range of ejuices that was every bit as exceptional (maybe more so) than the ones they were selling. Fast forward to today and Beard has cemented itself as one of the most popular eliquid brands worldwide. Sold in 6 continents and all 50 states of the US, thousands of vapers across the globe have fallen in love with Beard Vape Co. Maybe you will to? No.05 Ever wanted to drop everything and enjoy a slice of NY style cheesecake with strawberries on top? Well, now you can with Beard Vape Co. NO. 05. One of the Beard’s 5 original E-liquids, NO. 05 has all the decadence of a 5-star cheesecake, with none of the guilt. A mouth watering slice of heaven, only made of clouds instead of calories. Manufactured with impeccable care and detail using only the highest quality ingredients, NO. 05 is widely regarded as the best cheesecake E-liquid on the market. Beard Vape Co. spares no expense when it comes to quality control, so each bottle contains every hint and note of flavor, from the tart strawberries garnishing the top, down to the crunchy graham cracker crust. No.24 The newest addition to the Beard Vape Co. lineup, NO. 24 is a salted caramel malt that has quickly become an instant classic. By somehow fitting an entire caramel milkshake into an E-liquid, Beard Vape Co. has once again changed the game, taking an otherwise untapped flavor profile and bringing it to center stage. And like every Beard E-liquid, NO. 24 isn’t JUST a milkshake. No, no, no; that would be ordinary, and Beard Vape Co. is anything but. NO. 24 boasts a rich, sweet and salty caramel malt flavor unlike anything else on the market. Considered one of the best malt AND caramel flavored E-liquids available, NO. 24 is perfect for anytime, anyplace, and anyone. Get a bottle today and join the milkshake movement. No.32 One of the most popular E-liquids on the market, NO. 32, is a delicious cinnamon funnel cake that put Beard Vape Co. on the map. Tested against 99 other flavors during it’s creation, NO. 32 quickly became the favorite; first, around Venice, CA., where Beard calls home, and since, around the world. The perfect all day vape, one hit and you’ll swear you were waiting in line for bumper cars at the county fair. NO. 32 embodies every last crumb of a cinnamon and sugar covered fried pastry, hot and fresh from the concession stand. And like every Beard Vape Co. product, each bottle is meticulously crafted to perfection. Find out for yourself why NO. 32 is one of the best E-liquids in the world, just remember to stock up because we guarantee you’ll run out quickly. No.51 More custard, anyone? Yeah, us too. Enter NO. 51, Beard Vape Co.’s custard with a dash of custard. Beard Vape Co. fit as much custard flavor into NO. 51 as possible, then topped it off with more. As smooth as it gets, NO. 51 flaunts layers of vanilla, cream, and subtle sweetness. A versatile flavor that tastes incredible dripped or in a tank, NO. 51 is a rich, aromatic E-liquid for custard lovers everywhere. 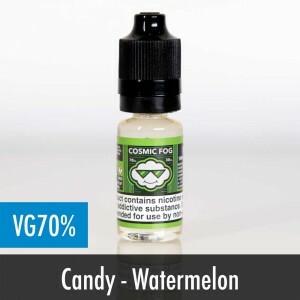 The perfect vape for those who have a sensitive sweet tooth, every bottle of NO. 51 is an impeccable custard flavor like only Beard Vape Co. can produce. No.64 Perhaps the most layered E-liquid on the market, NO. 64 is a unique raspberry hibiscus twist. Boasting hints of tart berry and sweet, aromatic hibiscus, NO. 64 is a sophisticated yet simple flavor. Using only the finest ingredients available, NO. 64 is one of the best fruit flavors on the market, as the flavor is more than just a hit of raspberry. Beard Vape Co. meticulously crafted a flavor profile that tells a story of elegance, fullness, and robust notes that is sure to become one of your go-to vapes. The best part? NO. 64 was hand picked by the public during Beard’s creation, giving NO. 64 a reputation as a fan favorite. Like a delicious tea, it can be enjoyed whether it’s a hot summer day or a cold winter night. Stock up today and see what everyone’s talking about. No.71 Candy lovers, rejoice! NO. 71 is a sweet & sour sugar peach unlike any other, because there is no other. Continuing its tradition of top shelf flavor, Beard Vape Co. turned everyone’s favorite gummy candy into a tasty E-liquid. Another of Beard’s “original 5”, NO. 71 was an instant standout due to it’s incredible flavor and nailing the sweet, sour tang of a peach gummy. Short Fill Eliquids come with no nicotine (0mg) and space in the bottle for Nicotine shots to be added. 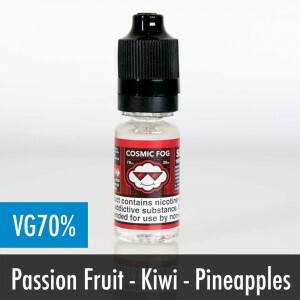 The benefits of this are two fold, you can have your eliquid in a bigger bottle just like the good old days and you can also save yourself a lot of money as they work out much cheaper. Nicotine Shots allow any 0mg 50ml eLiquid to be converted into a 60ml 3mg or 60ml 6mg eLiquid. To make a 60ml 3mg eLiquid just add the 10ml 18mg nicotine shot to the 50ml 0mg eLiquid and mix. Short Fill eLiquids come with 50ml in a 60ml bottle so have space to just chuck the nicotine shot straight in. 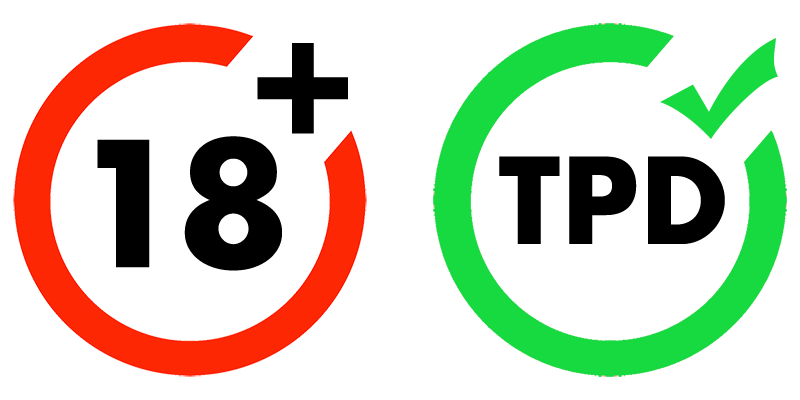 To Make 60ml 6mg eLiquid you need to remove 10ml of the eLiquid and add 2 x 10ml 18mg Nicotine shots.